This is a Wedgwood 'bread and butter' plate in their lovely pattern, 'Gloucester', discontinued in 1972. 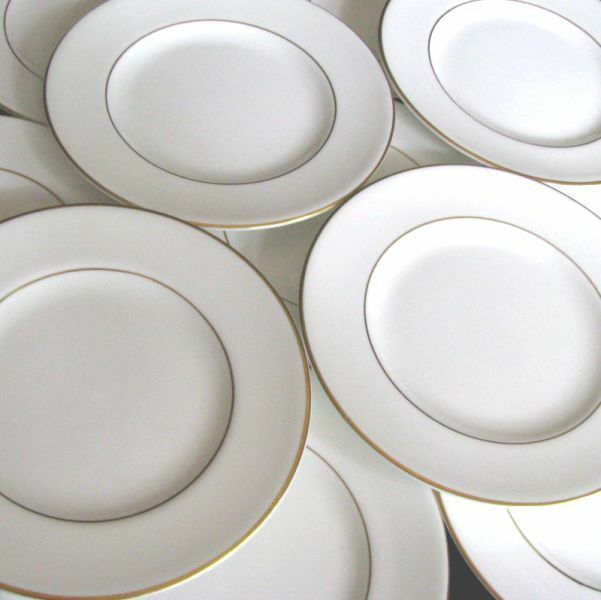 The stunning simplicity of white trimmed with gold, this set is the perfect "go-with-everything and use-everywhere" plates you will turn to - every time of year, every occasion. 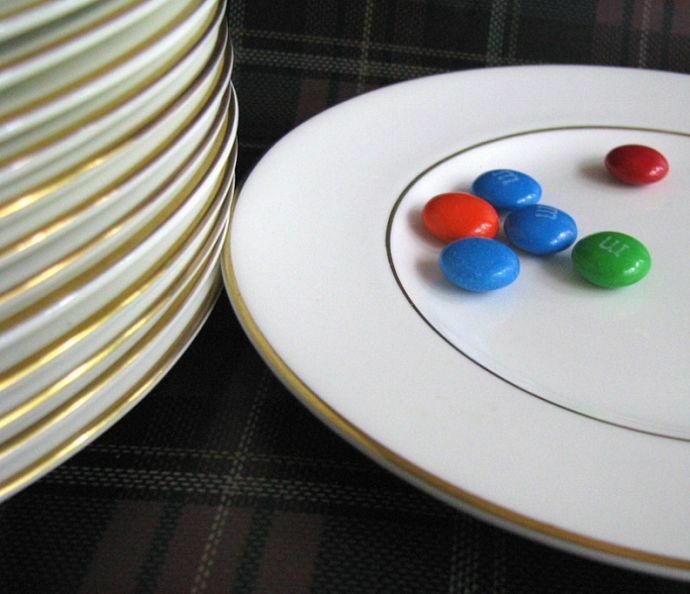 In Wedgwood's creamy soft white and twice ringed with simple gold - at the rim and plate's hollow - a plate to charm your guests and lend elegance to your home decor. Timeless. Perfectly lovely in every regard - the finish, the paint, the look. Wedgwood is always a gorgeous addition to your table ... and this size will be a perfect trinket dish for your dressing table ... a soft reflection for a stubby candle ... at the entryway to catch your keys ... and, as always, a perfect wedding gift for the new couple. 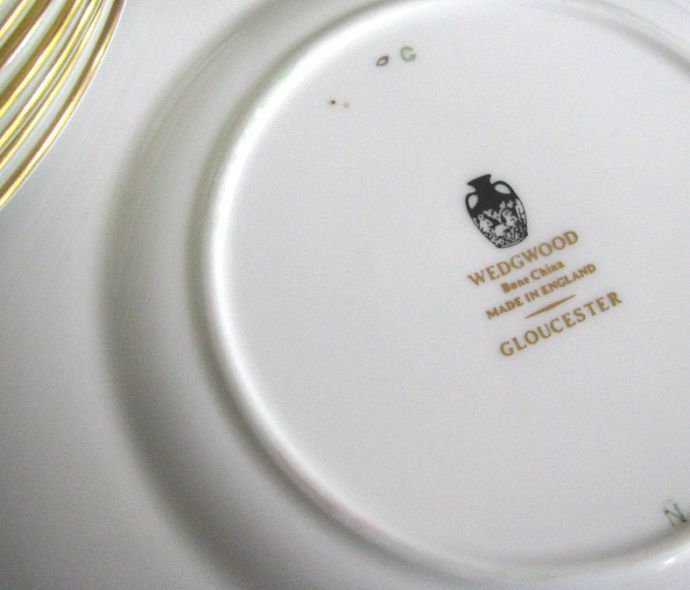 Artist-signed and initialed and imprinted with the Wedgwood-vase seal, 'Wedgwood Bone China Made in England', and the pattern name, 'Gloucester'. No chips, cracks, marks, or repairs. 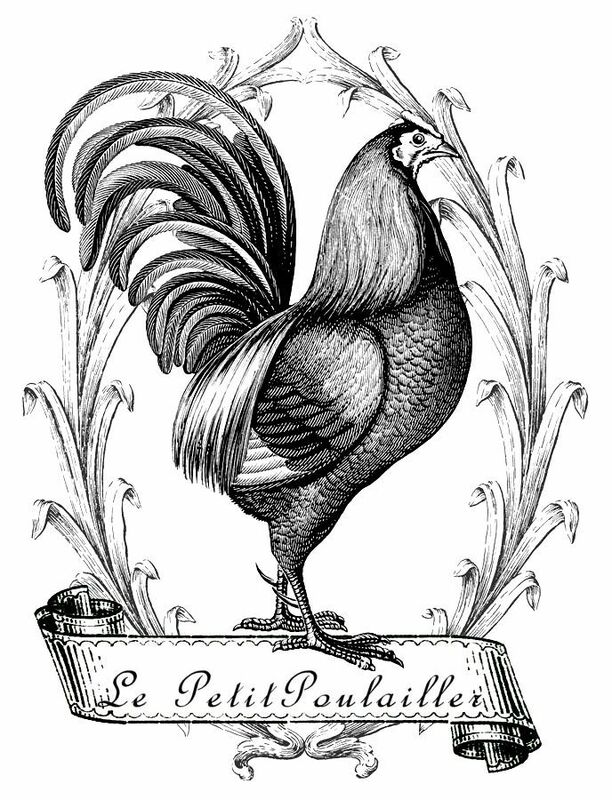 Measures - 6" (15 cm) diameter. 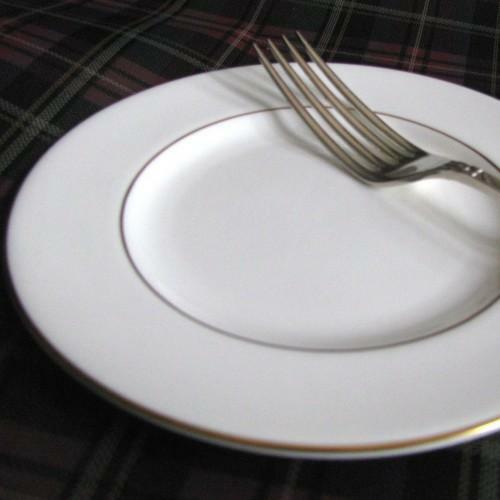 This listing is for one Wedgwood Gloucester bread and butter plate. There are more plates available - if you would like to purchase 6 or more additional plates, let me know and I will create a discounted listing reserved for you. I ship via USPS 1st Class Parcel for both Domestic and International destinations. Lower US 48 state destinations shipped with USPS Delivery Insurance and all US destinations shipped with USPS Delivery Confirmation.